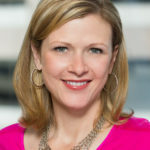 Podcast: Marketing/BD Trends in Today's Law Firms - Calibrate Legal, Inc. : Calibrate Legal, Inc.
Caibrate Legal Founder and CEO Jennifer Johnson Scalzi is featured in this Marketing/BD podcast on trends in today’s law firms, published by Attorney Search Group. In the past decade of providing placement and strategy services to law firms, she has achieved prominence as a business partner who truly understands the landscape of the current and future legal industry. Her insider knowledge — gained from six years in professional development and lawyer recruitment at a prominent Am Law 100 firm and as a leader in the Legal Marketing Association (LMA) — gives her a competitive advantage that saves her clients time and energy.